Video by Mallory Newman and Abraham Rodriguez. Two different barbers from two different shops discuss their careers, the lifestyle and what it takes to make a living in the city. Javier Rodriguez has been working at Willy’s Barbershop since the late 90s but was a barber in Mexico. 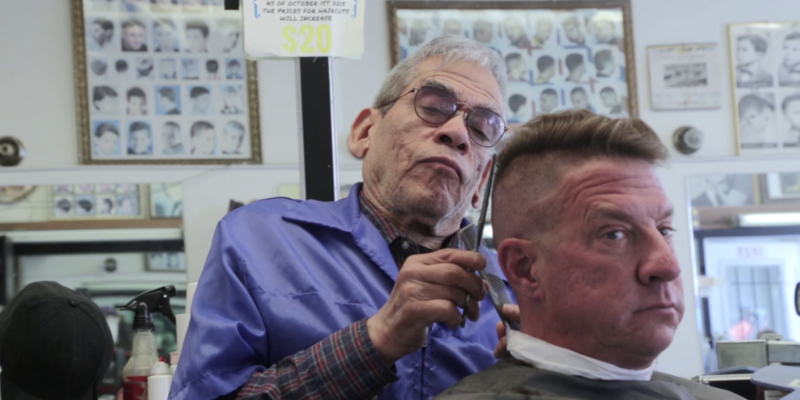 James Lizotte has been working as a barber for over 40 years and is now the Chief Operations Officer at Peoples Barber and Shop. But to both of them, a haircut in San Francisco is the same as a haircut in Hawaii. They’re the same everywhere. Head to Head from Mission Local on Vimeo. 3-Studios at $1140.00 a month; 27-1 Beds @ $1303.00 a month; 18-2 Beds at $1465.00 and 2-3 Beds at $1628.00 month. Applications must be received by 5pm on August 24, 2018. Postmarks will not be considered. Apply online through DAHLIA, the SF Housing Portal at https://housing.sfgov.org or mail in a paper application with a self-addressed stamped envelope to 150 VAN NESS BMR, P.O. Box 420847, San Francisco, CA 94142. Paper applications can be downloaded from https://housing.sfgov.org or picked up from one of the housing counseling agencies listed at https://housing.sfgov.org/housing-counselors. Please contact the 150 VAN NESS leasing team for more information at (916) 686-4126or bmr@150vanness.com. Javier is the man. He cuts my hair every month for the last few years. I have been a customer of Willy’s for over a decade. What was the cost of the haircut at both of the establishments? Willy’s charges $20 for a haircut, plus I always add a generous tip. Price used to be $12. You can find a less expensive haircut, but I like Javier, who lives down the street from me.